One of the few night shots I ever took with my old 110 camera that even came close to amounting to anything. Thus, it became, for all its boundless faults, one of my favorites. 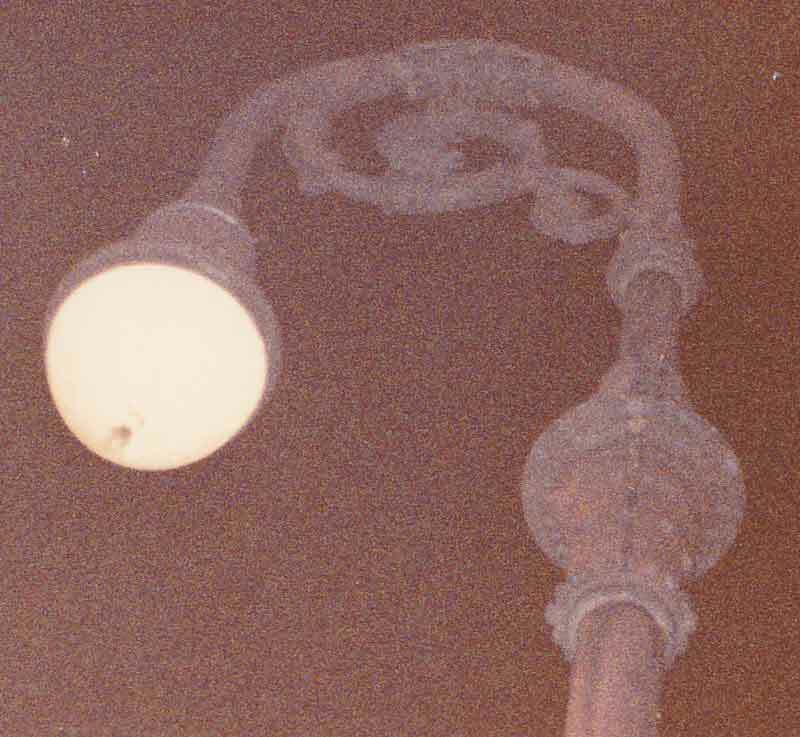 It was a simple old bishop crook pole standing somewhere in Greenwich Village, Manhattan in 1982. It wore a typical depression era Bell fixture. I was using 400 ASA film, which was a newfangled marvel at the time.